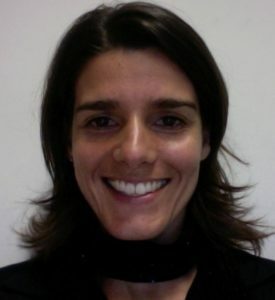 Ana Aguiar is Assistant Professor at the University of Porto (UP), and a researcher at Instituto de Telecomunicações (IT), and coordinator of the Networked Systems Group, and leader of the Shannon Lab. She graduated in Electrical and Computer Engineering from UP in 1998 and received a PhD (Dr-Ing) in Engineering (Telecommunication Networks) from the Technical University of Berlin in June 2008. She is visiting faculty at the Computer Science Department at Carnegie Mellon University in Pittsburgh, USA. She works on wireless networked systems, concretely on mobile sensing, mobile IoT and 802.11-based networks within the scope of several industry and state funded projects with applications in the field of smart cities. She has built the mobile crowdsensing tool SenseMyCity within the scope of the FP7 Future Cities project in Porto. She is also operating the UrbanSense platform of environmental sensors deployed in Porto. She applies data mining and machine learning to concrete problems in the field of smart cities, like congestion estimation and prediction, origin-destination matrix estimation, etc. She has published several journal and conference articles and is reviewer for IEEE Communications Magazine, IEEE Transactions on Wireless Communications, IEEE Transactions on Intelligent Transportation Systems, Transactions on Mobile Computing, as well as several IEEE conferences.